The days are getting longer and warmer after the very cold and stormy weather of the last few weeks, so it’s just the right mood for a Good News Friday post. A new agreement signed today (17 January) with Israel is set to boost investment between the UK and the Middle Eastern country. This agreement will facilitate UK investment into Israel by removing tax barriers to cross-border trade. It will also provide important protections against those who seek to use the treaty for tax avoidance purposes. I’m delighted to sign this deal with such a close ally, and pleased we now have a treaty that reflects the latest international standards. It is a sign of the continued excellent cooperation between our two countries. Total trade in goods and services between the two countries increased by 2% last year, reaching £3.9bn in the year to July 2018. The UK’s leading exports to Israel are machinery and electrical equipment, while pharmaceuticals account for more than 70 per cent of Israeli exports to the UK. Israeli companies are major suppliers to the NHS. With Israel’s strong GDP growth, low inflation and falling unemployment rate, it continues to be a growing market for UK companies. Israel has an excellent reputation for innovation and invention and is a world centre for R&D. This is wonderful news, not only for the tax benefits accruing to Israel and the investment opportunities it will bring, but the very fact of the agreement means that the UK has faith in Israel’s strong economy, its innovativeness and its compliance with international tax treaties. Kol hakavod to all parties involved in arranging this treaty. This is a fantastic development which can save the lives of millions! Kol hakavod to all the researchers and developers involved – and may the BDSers boycott this forever! On the subject of boycotts, an organization called If Not Now has been in the news lately as they have tried ot impose their own extreme-leftist anti-Israel agenda onto Birthright trips. Their disruptions have caused headlines and are upseetting Birthright participants and organizers as well as mainstream Jewish communities. We are young Jews from across the United States. We represent the left, right, and center of the political spectrum. We are Ashkenazi, Sephardi, Mizrahi, Orthodox, Conservative, and Reform. Yet, despite our differences, we are united in our view of the group IfNotNow (INN): they do not speak for us. INN claims that Jewish institutions systematically censor the truth about Israel, taking advantage of our naivete and selling us a utopian image of the Jewish state that ignores its flaws. But this is not our experience. 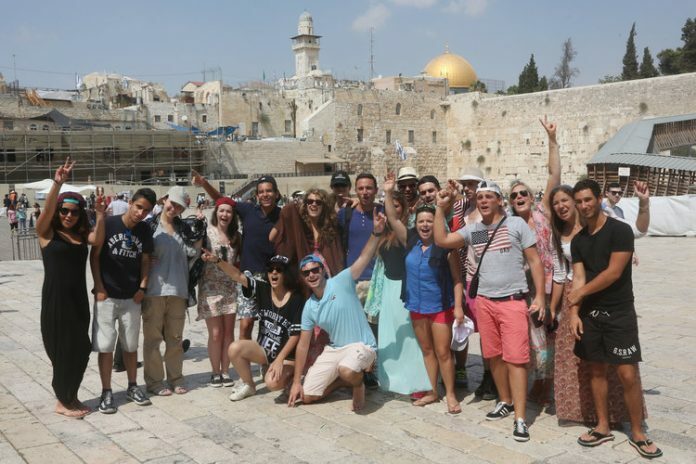 Our youth in summer camps, synagogues, and day schools was suffused with education about Israel, and what it meant for the Jewish people. We were encouraged to unequivocally support the right of the Jewish people to a country of their own in their ancestral home. However, we also learned very early on that, as Zionists, we could love Israel while criticizing it at the same time. Growing up, our educators and families did minimize our exposure to the worst of the conflict between Israel and its neighbors. We understand that they were preserving our innocence and do not blame them. We recognize that this is a privilege robbed from Israeli and Palestinian children, who must live within the conflict. No child should be exposed to war or terror, and we are grateful that we were able to mature before learning about the harsher realities in more depth. University life was a whole new world that tested our knowledge and identities. However, instead of abandoning our values, our passion for Israel has only deepened. Exposure to different narratives and historical contradictions has motivated us to strengthen ourselves and our Jewish communities. We strive to meet our intellectual, social, and political challenges with engagement, understanding, pride, growth, and solidarity with other marginalized groups. We continue to see Israel as a dynamic country involved in some of the most amazing technological, cultural, and humanitarian pursuits. The revival and resilience of this nation, surviving and thriving against all odds, is part of what makes us proud to be Jewish and supportive of Israel. And we also see a country only 70 years young, which is still a work in progress. We also understand that there are no easy solutions — and no amount of slogans, chants, or entitled outbursts against Birthright Israel by IfNotNow and other groups can change the reality on the ground. Palestinian leaders have rejected every major peace proposal since the 1937 Peel Commission Plan. Israel’s attempts to “end the occupation” have been met with suicide bombings, rockets, terror tunnels, and genocidal rhetoric by terrorist groups. They have been met with Fatah rewarding terrorism, spreading antisemitism, and denying any Jewish connection to Israel in the Palestinian media, education system, and beyond. By ignoring these realities, INN perpetuates the conflict and reinforces a black and white narrative that fuels hostility against Israelis and Jews around the world. This is a beautifully written article and I recommend you read it all. 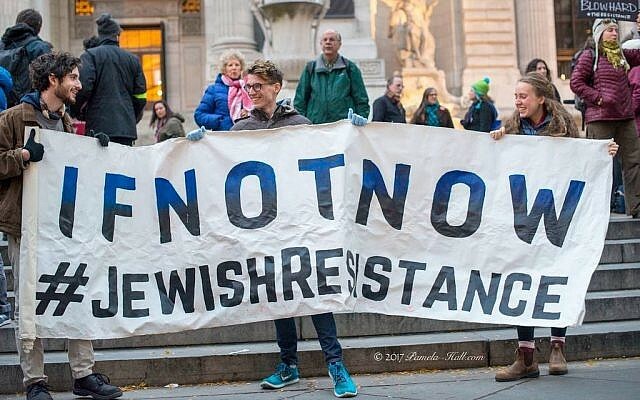 It is written from the standpoint of center-left or “soft-left” young Jews yet it is still supportive of Israel while retaining a clear-eyed view of the reality on the ground. Kol hakavod to the three authors. May their words be shared and broadcast widely to influence the brainwashed of their generation and to strengthen the hearts of those who stand with them. And now a change of pace for just a moment. Dozens of countries are now gearing up for the next Eurovision Song Contest, due to take place in Tel Aviv in the spring. Each country holds a competition to choose their own song. Israel’s competitoin is in the framework of “A star is born”, and one of the top contenders is a very special group, in all senses of the word. The Shalva Band is comprised of disabled but extremely talented singers, and they have been sweeping the competition so far. One of the most poignant moments in the high-ratings TV show was the performance of The Shalva Band, comprised of young musicians with physical and intellectual disabilities. The band was formed by in 2005 as a professional outlet for talented clients of Jerusalem-based Shalva, the Israel Association for the Care and Inclusion of Persons with Disabilities. Current lead singers Dina Samte and Anael Khalifa are blind. Khalifa’s rendition of The Beatles’ “Here Comes the Sun” knocked the socks off the audience and an all-star panel of judges: Eurovision 2005 contestant Shiri Maimon, fresh from her Broadway gig in “Chicago”; Harel Skaat, Israel’s 2010 Eurovision representative; singer-songwriters Keren Peles and Asaf Amdurski; and pop duo Static & Ben-El. Below is an English-subtitled clip of the band’s heartwarming pre-show interview with “Next Star” hosts Assi Azar and Rotem Sella, and their stellar performance that advanced them to the next round of auditions. I am so proud to live in a country where people who might have been sidelined by society are given a place to grow and develop their talents, and even represent their country on the international stage. A huge kol hakavod to the Shalva Band and to the Shalva organization for bringing this fantastic group to such heights. Even if they don’t win the competition in the end, they have won over our hearts forever. And now I shall come full circle to the beginning of my post where I mentioned how the stormy weather is behind us for now. In an unusual change of pace, instead of intense public prayers asking for rain, this week hundreds of Jews gathered around water reservoirs and lakes, as well as at the Kotel, to give thanks to G-d for the abundant blessed rains that have fallen on Israel in the last few weeks. Hundreds of people took part today in a prayer of thanksgiving at the Western Wall of the Temple in Jerusalem, which was initiated by Minister of Agriculture Uri Ariel following the recent rains. Hundreds of people also gave thanks in the north, next to the Bnei Yisrael Reservoir at Hispin in the Golan Heights, which was refilled with water after the heavy rainfall. התאספו בשעות האחרונות אל מול מאגר בני ישראל המלא במי גשמים טריים וצלולים, להודות על גשמי הברכה שזכינו בהם בשפע בחודש האחרון. מרגש! It has actually been the rainiest winter after a 5-year drought and we are all so grateful to Hashem for His blessings. I am so proud of my country and my fellow citizens who not only know how to ask, but also how to give thanks for the natural bounty and blessings that are bestowed upon us from Heaven. May we all be showered with blessings from Hashem as we enter Shabbat and then into the new week. Wishing you all Shabbat Shalom! This entry was posted in Boycotts and BDS, Culture, Arts & Sports, Israel news, support Israel, Technology and tagged #BDSfail, biomed, Birthright, disabled, Eurovision2019, Good News Friday, HIV, rain, Shalva, UK-Israel relationship. Bookmark the permalink. Oh what an amazing post!I have tears in my eyes frim the Shalva band-what wonderful people,I certainly hope they represent us .It’s time some values are brought back into the Eurovision,and what better place to do that than here in Israel. The HIV treatment is just fantastic.After hearing all day how Ireland wants to boycott our Judea and Samaria products, this was just what I needed to give me a boost. The clips showing the dancing and singing of prsyers in thanks for the rain is such an “Only in Israel” moment.How wonderful that we can and do give thanks to the rain. Please carry on giving us wonderful news!